Our pilots and technicians’ regular missions guarantee our clients quality service at the best cost. 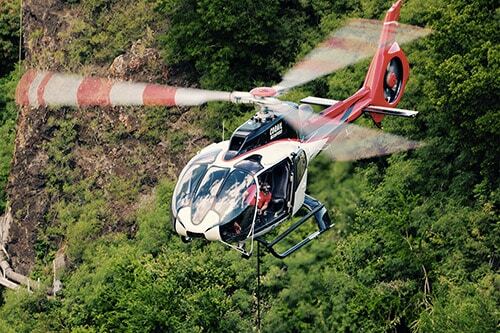 Corail Hélicoptères at La Réunion is specialised in helicoptered aerial works and benefits from a true expertise and great experience in this field. The works are conducted with trained professionals, qualified to fly through rough weather conditions. Corail Hélicoptères offers wide diverstity in its aerial works missions: transporting and positioning at the truss, such as air conditioning units, swimming pools, concrete and also does cable unfolding, safety nets for rocks, fibre optic, shelter provisioning, works on dams and pipes or any mission upon request. Do you need images for your project? Corail Hélicoptères provides you with tools and other solutions for shots combining excellence and authenticity. Exclusivity guaranteed! Our aircrafts can be equipped with Wescam and the Spacecam type gyro stabilised systems..
Corail Hélicoptères holds the official authorisations for use of these high-technology tools. Our skilled team will guide you through the realisation of your project. 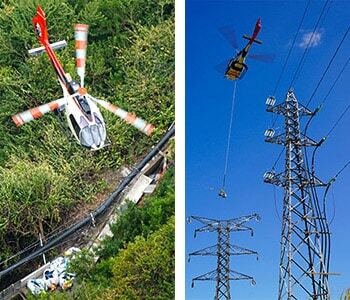 Corail Hélicoptères is a team of continuously trained skilled professionals. Two words are in order: precision and safety.